My local IGA marks down produce on a Monday morning and a Thursday afternoon. Why? Because they get their fresh produce deliveries on Monday morning and Thursday afternoon and they need to clear out the older stock to make room for the new. They mark down meat every day around lunchtime before they re-stock the cabinets for the late afternoon shopping frenzy. Dairy products are marked down every day as they re-stock the cabinet. Bread and cakes are marked down after 3.30pm every afternoon. My local Coles supermarket marks down meat around 3pm on a Sunday afternoon. I know if I pop in then I might be able to pick up some great bargains. If I want rock bottom prices on fruit and vegetables and visit my local green grocer after 4pm on a Sunday. As they are only open Wednesday through Sunday they need to clear out the perishable produce so it's marked down, often by 50% or more, making shopping on a Sunday afternoon well worth the effort. There are some excellent grocery bargains to be had when you shop the mark-downs. The trick is knowing when your local supermarket marks down. You can't guarantee that you'll be able to get everything on your shopping list, and you must be prepared to make a few substitutes, but if you like a bargain and want to get your grocery bill even lower, shopping the mark downs will definitely help. 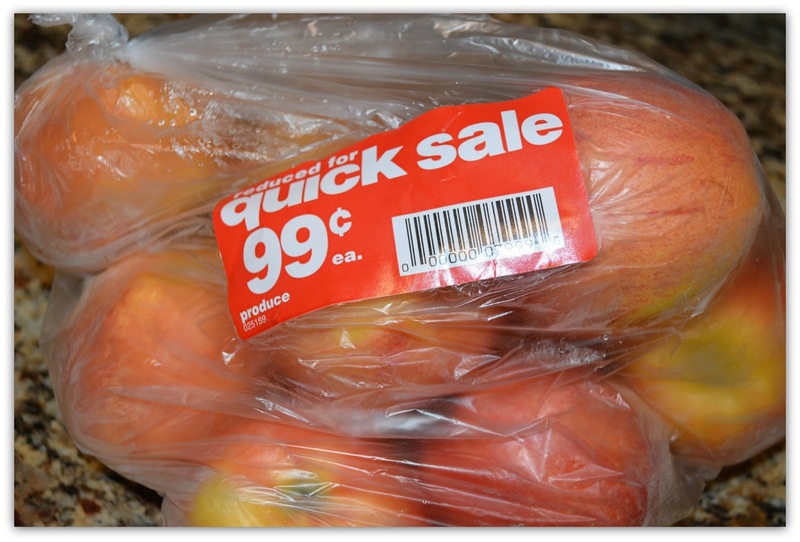 These are the guidelines I use to help mark-down bargain grocery shopping. When I stick to these rules I know I'll always get a good deal. 1. Know the regular price of the item. 2. Check to see if it’s on your shopping list. If it isn’t, is the item something you use regularly? 3. Will you be able to use it before the Use By date? 4. If not, do you have the capability to freeze it, store it, dehydrate it, bottle it? 5. Will you be able to use it within a reasonable period of time? There’s no point in storing 15 cans of furniture polish if you only polish your furniture once a year! I do a big grocery shop once a month. But when I call in to top up the milk I try to time it to mark down time and always have a quick look to see if there's something on my list I can pick up earlier and save a little on. I know that my local Woolworths does a new batch of roast chickens around 5.30pm. If i go in at 8.30pm then they are marked down to $5 instead of usual $11. I use these chickens for cold meat, quick curries or stews.